Reply Subj: Re: It should be politicized because that's the only way things like this get fixed. 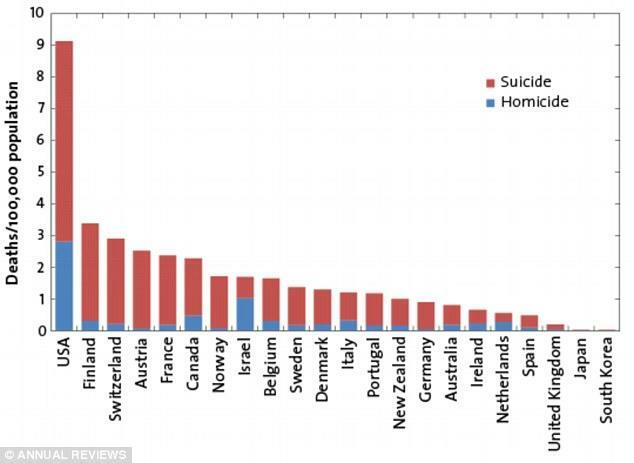 Virtually all other first world countries don't have the mass shooting problem or general gun death rate in the United States so either the United States has too many guns (it has far more per capita than most first world countries) or its citizens are too violent. If it's the former, we should drastically reduce availability of guns. If it's the latter, we should drastically reduce availability of guns. Otherwise, all you're saying is it's more important to you to have a gun than for other people to live since there are over 30,000 gun deaths in the U.S. every year. In this case, the shooter did NOT have a criminal background. So he would have (And might have, for all that I, we, or anybody else knows.) passed a background check. There are problems with gun control, but the NRA didn't have anything to do with this, they're just an easy target for politicians.